Im warming up to them a bit, but they look like theyll fall with the slightest change of the wind. 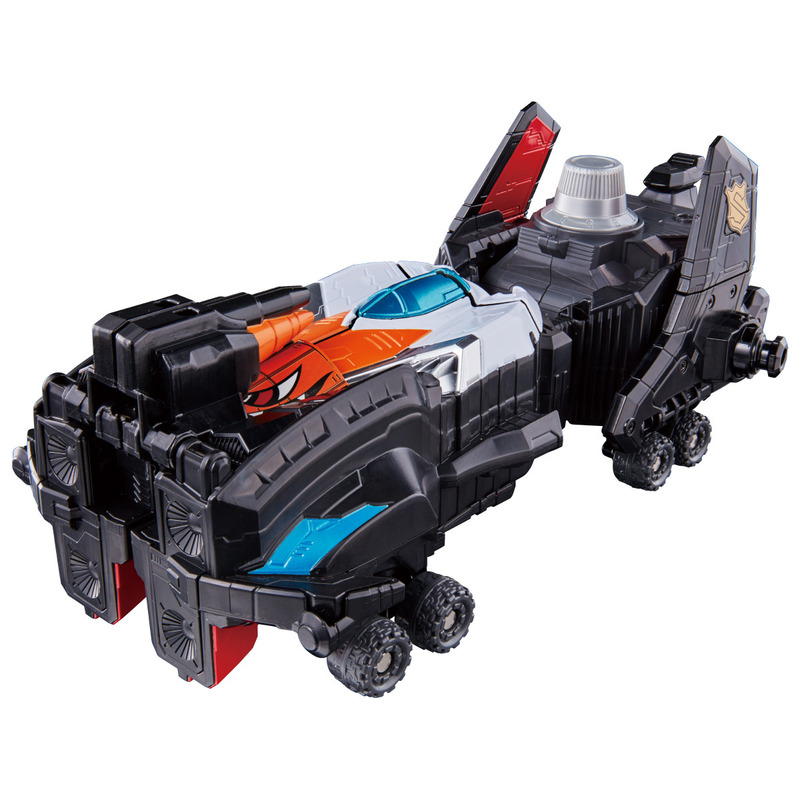 im confused about the PatoKaiser, does it have a mask flip gimmick? because the first image shows the face that looks like a mask and the new image it shows the face being exposed. Nope, just one face. That face has an eye mask though. 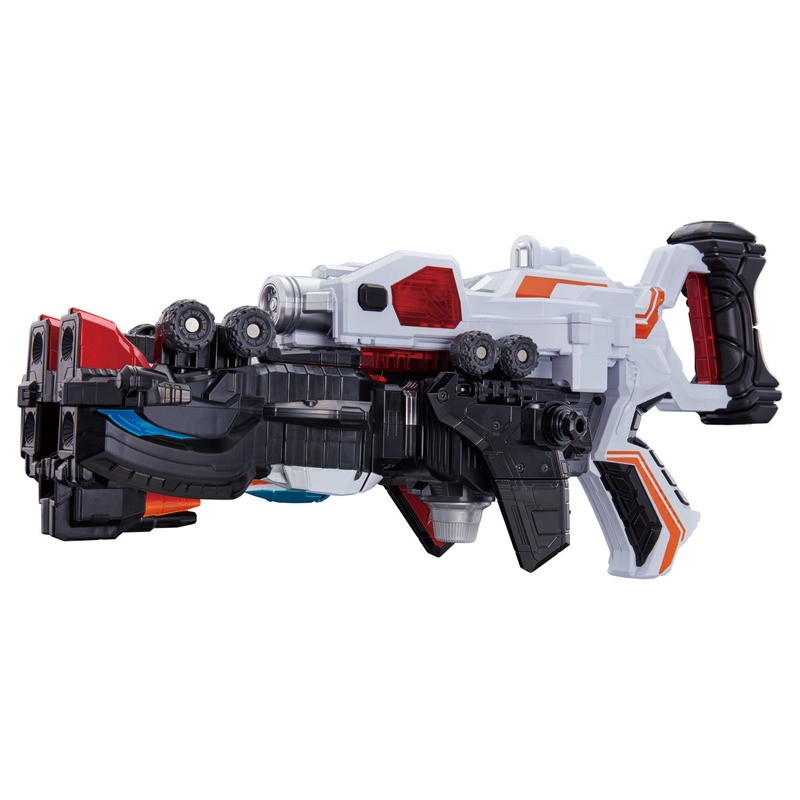 Anyone else notice that there are no additional clips or ports outside of the ones used for the Kaiser combinations. 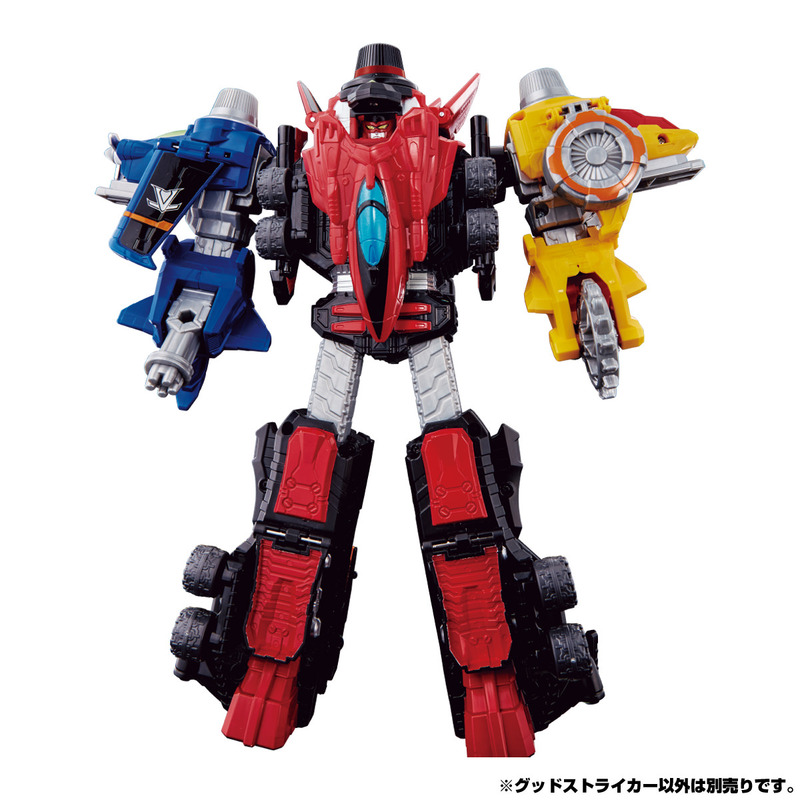 Looks like it's gonna be a just a head/arm swap combiner, so they'll probably swap out for another robo when they start working together. There’s peg holes around the feet; and it’s hard to tell what is there until we actually have the thing in hand. sounds similar to dekabike robo, also where is the button for the sounds on the mecha? No, it’s a molded mask. Doesn’t move. It’s just over the eyes. 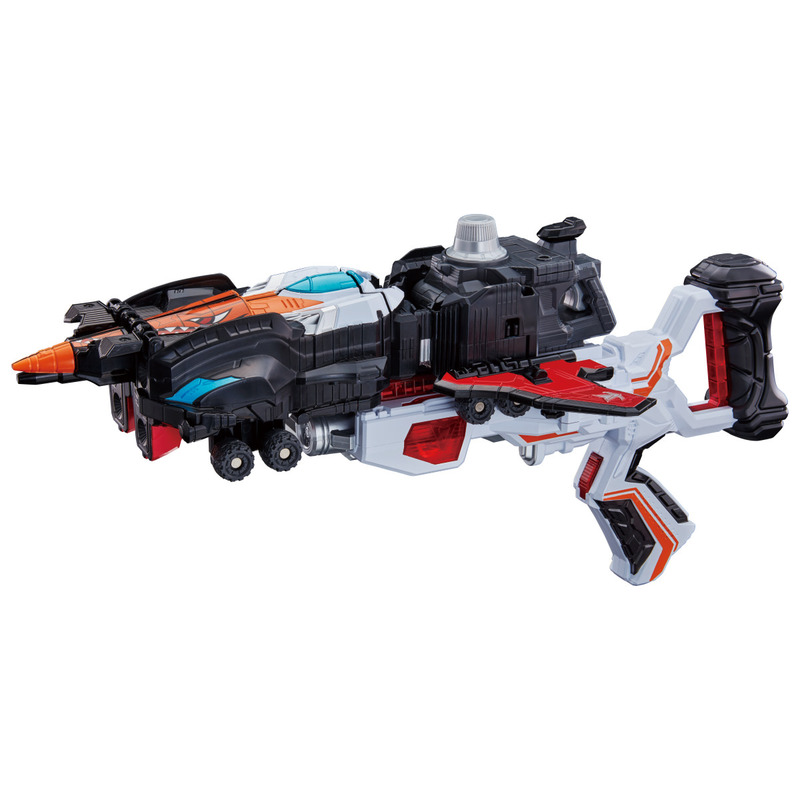 Not sure where the button is on GoodStriker, but I imagine it’s just using the dial in Fighter Mode and the Trigger in Machine Mode. ok i see it now, first scan of it in december, i couldnt tell what it looked it. 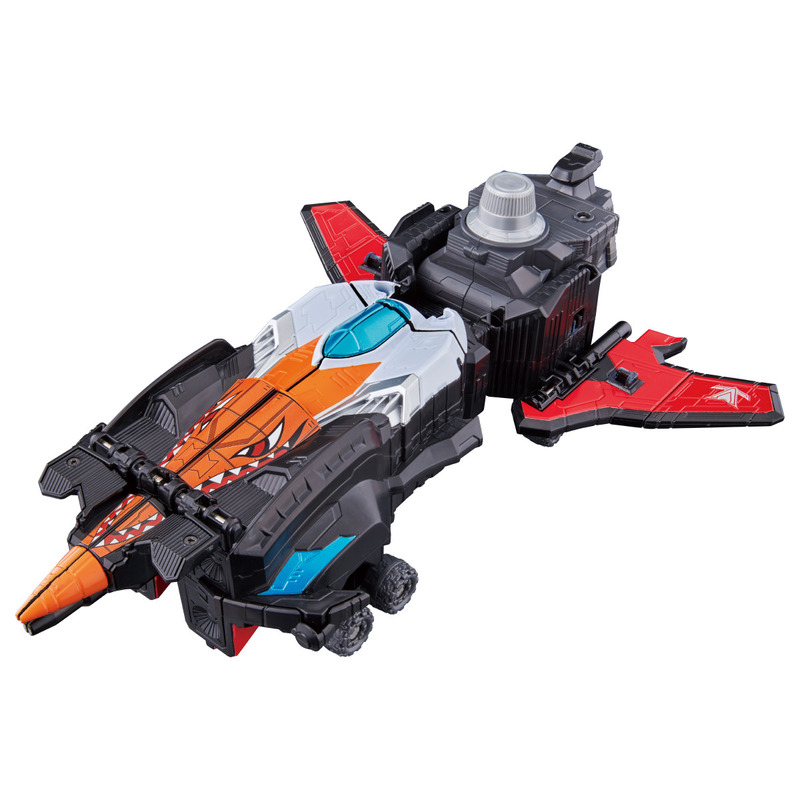 Not sure where the button is on GoodStriker, but I imagine it’s just using the dial in Fighter Mode and the Trigger in Machine Mode. Makes sense as they both seemed to be built into a grey segment which rotates out of the way for the Kaiser forms. We need a like button rangerborad! Well said teal. Thanks! Was waiting for the next time I posted to address this, heheh. 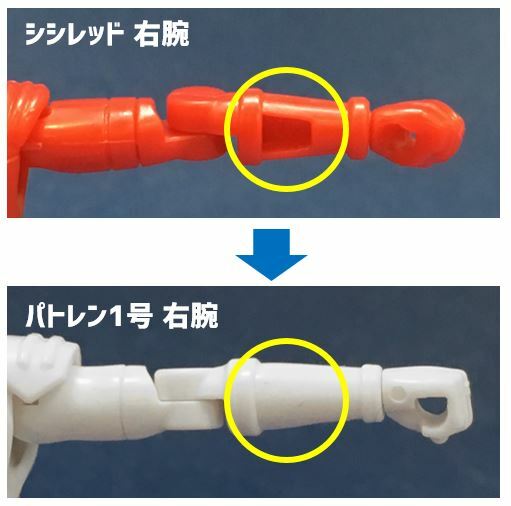 Perhaps... looks like it's a clip on the DX (look closely at PatoKaiser's left ankle), so I guess they used two pegs to make up for not using a clip on the mini-pla. 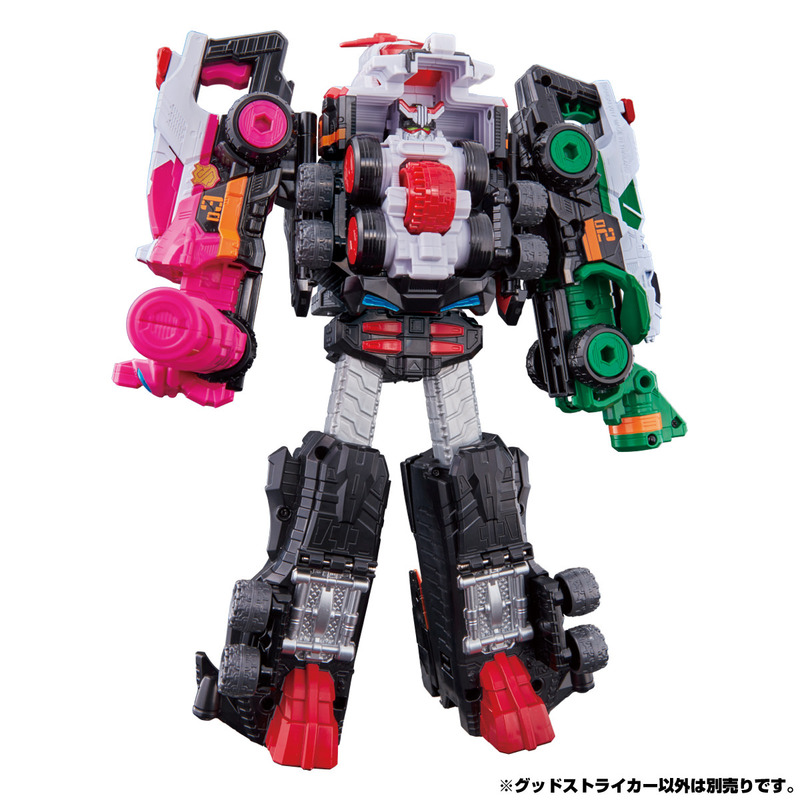 While looking for the source of the mini-pla Lupin Kaiser pic above, I found that it's from Bandai's candy blog, and also found some more info at the same time. Bandai's N has posted the first photos of the 5cm mascot keychains of the robos, to go with the photos we've already had of the other two in that series; Lupin Red and Patoren Ichigou. Going back to mini-pla... If we didn't know already, Lupin Kaiser releases in early March, and the mini-pla Pato Kaiser (no photos ready yet) is in development and scheduled for early April. 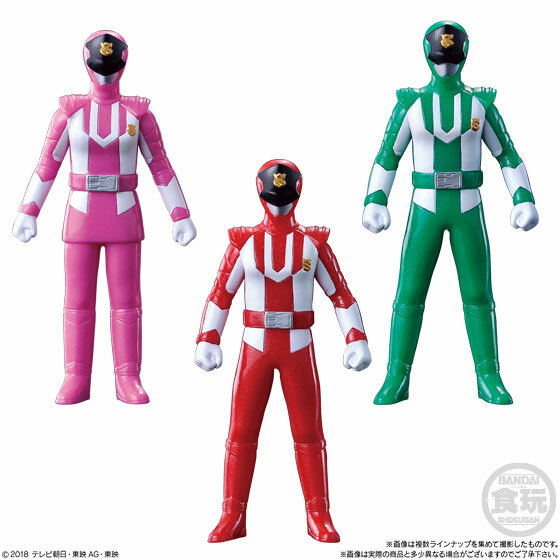 Well folks, Bandai of Japan has done it again. 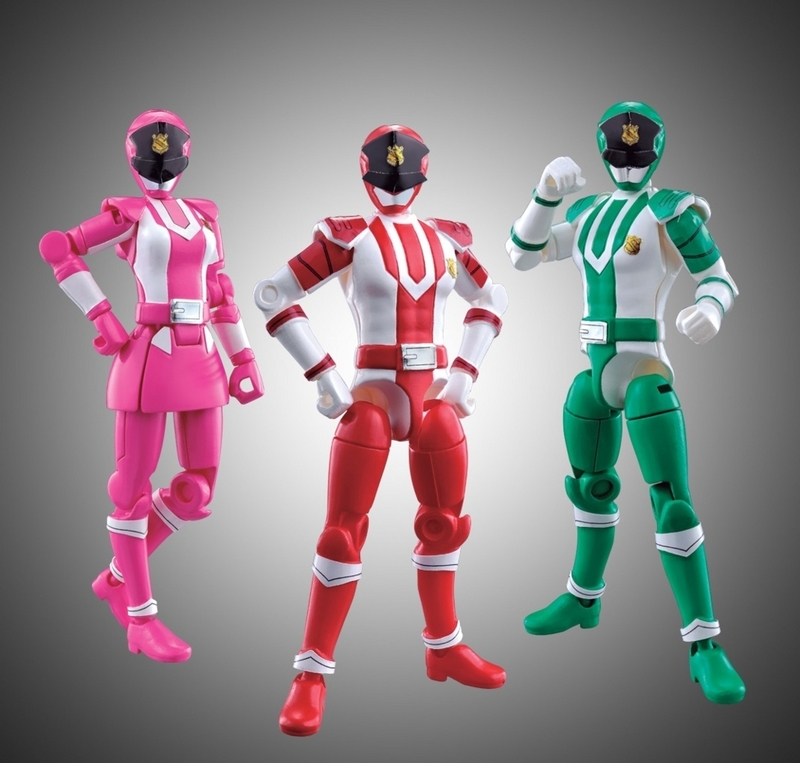 Not only making Sentai figures again, but including the girls as well. They finally listened. 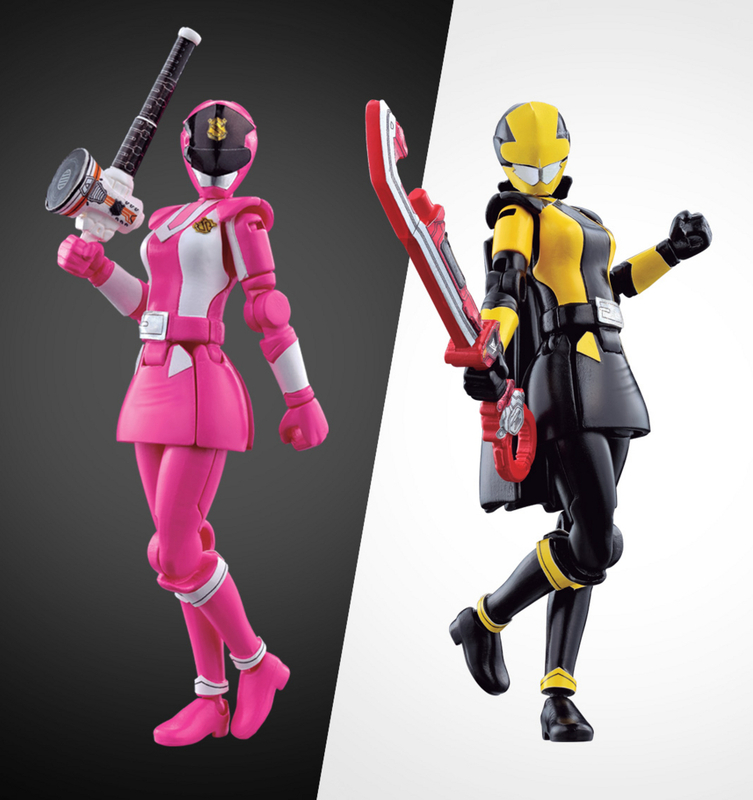 The shapes are not common, each Ranger comes with a unique molded weapon, as well as another set of hands. "Slightly small stature, shoulder width of narrower, slender limbs ... and pursuing elements that seem feminine, it is designed to stick to the balance so that only the "coolness" of the hero is never damaged. As for the movement of the essential, the skirt part moves up and down, so you can move your feet relatively freely and play!" They release in April for about four dollars each. 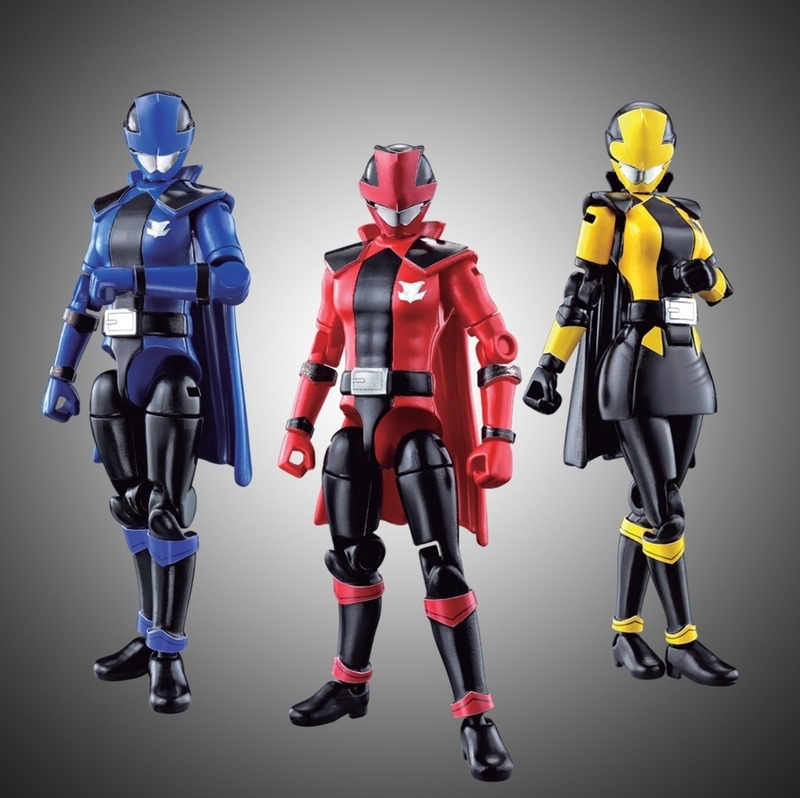 I hope we can get figures of past Sentai, seeing as they're willing to put out full teams now. I am an AGGRESSIVE sofubi figures collector, so... 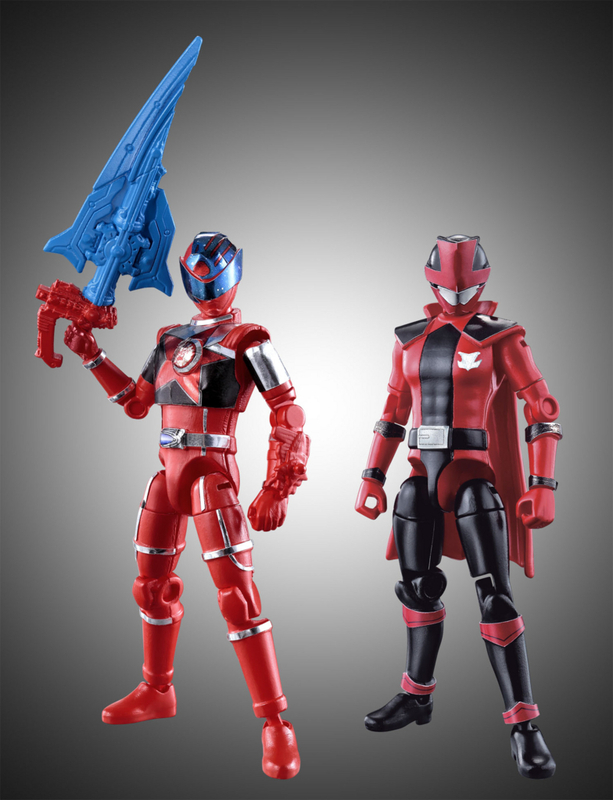 I am disappointed about the first images of Lupato sofubi figures. They look overweight, especially Lupin Yellow! 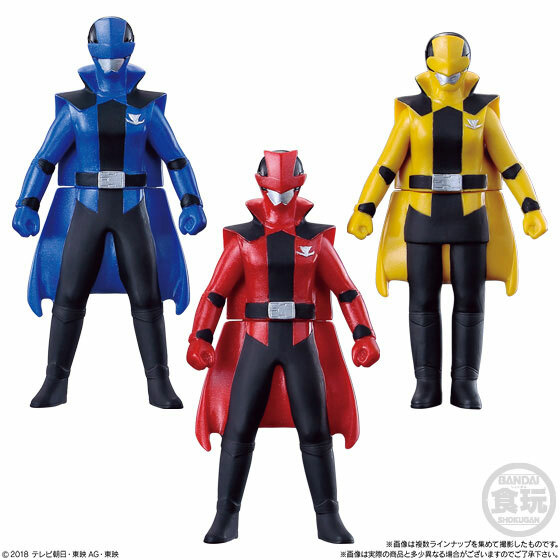 They are 11 cm (4.5'') tall like any other sofubi since Shinkenger and they look good, though. I hope they're just prototype models and differ from the final product. 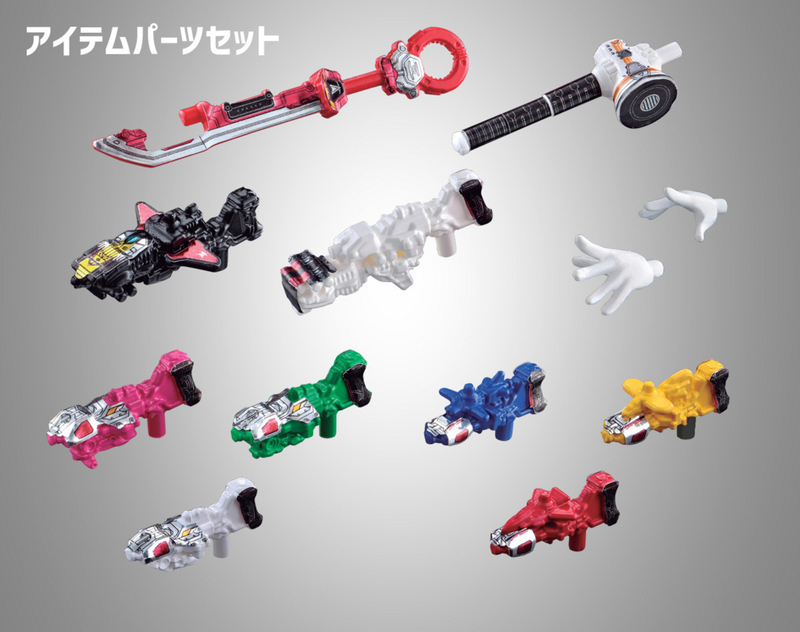 I'm pretty sure those are the candy toy sofubi, check the bottom right of the images, there's Shokugan (candy toy) logo, I'm sure the normal sized sofubis are exist too (the Sentai Hero Series line). Really happy the Yu-Do line makes complete teams. If they decide to make previous Sentai characters, I hope one of them is Zyuoh Eagle because since Gokaiger it's the only Sentai without articulated figure. Small sofubi figures and candy toy hero figures are the same thing. I don't buy the bigger ones. Photos taken from Tokullectibles FB Page... so credit goes to AnAlpha. Original source, I don't know. 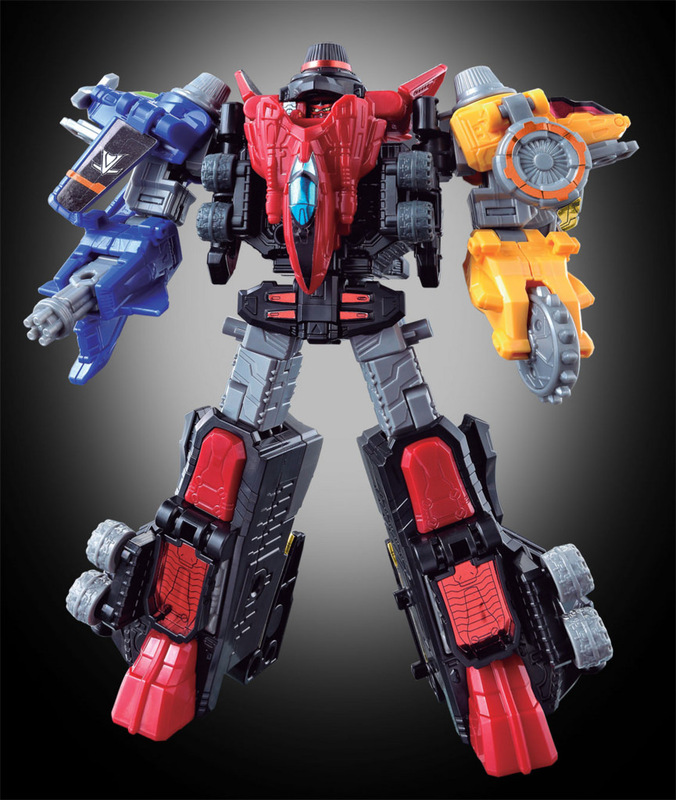 So here's the boxes and the size of the VS Changer. Looks awesome!